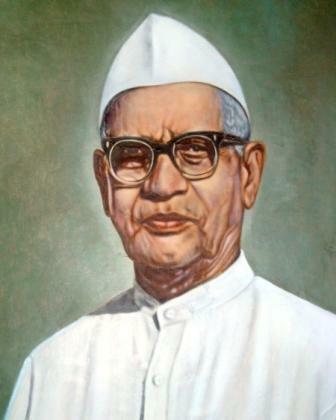 Acharya Bhise (Shankar Ramchandra Bhise, 1894-1970), was a great idealist who devoted his life for the spread of education in rural Maharashtra. He chose a remote village of Bordi as his 'KARMABHOOMI' (a place of worship throught dedicated service and selfless action) and began his work as early as 1920. As a far-sighted visionary he was responsible for bringing about social transformation of backward villages of Dahanu and Talasari Talukas of Thane District through his selfless service. Acharya Bhise devoted his entire life for the upliftment of the tribals. The tribals, being trapped in the vicious circle of ignorance and poverty, remained economically deprived and under-developed for generation. He founded 'ADIVASI SEVA MANDAL' (Residential Primary Schools for Tribals), Hostels and Secondary Schools were started. This programme benefited the first generation learners of Adivasis. In a true sense of the word, Acharya Bhise was a real 'KARMA-YOGI', for whom incessant, dis-interested, selfless action in the service of others, was the mainstream of his life, and as such he laid down a tradition of selfless service for the needy and more particularly down-trodden people. All his life he stood for a noble cause which could not have perished with his death. The people of Bordi and surrounding villages therefore, considered it their sacred duty to pursue his ideals and follow his high traditions to carry on with his work where he left. Althrough he did a great job by filling in a vacuum where nothing existed in the past, a great deal still remains to be done in order to bring about a fruition of his ultimate dreams. An educational institution named after his as the 'ACHARYA BHISE SHIKSHAN SANSTHA' was therefore establised in the year 1982, with the objectives and to carry out the following programmes, particularly with a view to serve the backward rural Adivasi Community.